On the flight back from Washington D.C. last night, United Airlines had the wonderful sense to play the fourth episode of the documentary When We Left Earth: The NASA Missions. It couldn’t have come at a better time, having just watched Mall Cop, The Office, Big Bang Theory and then How I Met Your Mother, I was in dire need for a good documentary. I was actually returning from a visit to the Discovery Channel HQ after meeting my amazing Discovery.com team for the first time, so I was in the mood to watch something about space. The best thing about When We Left Earth is that when watching it you can’t help but feel inspired and moved (coincidentally, it was produced by the Discovery Channel). In part 4, the Apollo missions (from 12-17) and Skylab are documented, and I must admit, I was a little vague on a lot of the facts that were presented. Probably the best bit for me was watching the converted Saturn V, resembling a high caliber bullet, blast into the sky in May 1973, taking Skylab into orbit. However, the story that ensued came as a surprise to me, I’d forgotten just how revolutionary Skylab really was. During launch, the space station sustained serious damage, causing loss of the sunshield and damage to the solar panels. If astronauts weren’t launched to repair Skylab, the mission would be lost, cooked from the inside-out, and losing energy fast. The first crew of Skylab became a space station rescue mission. 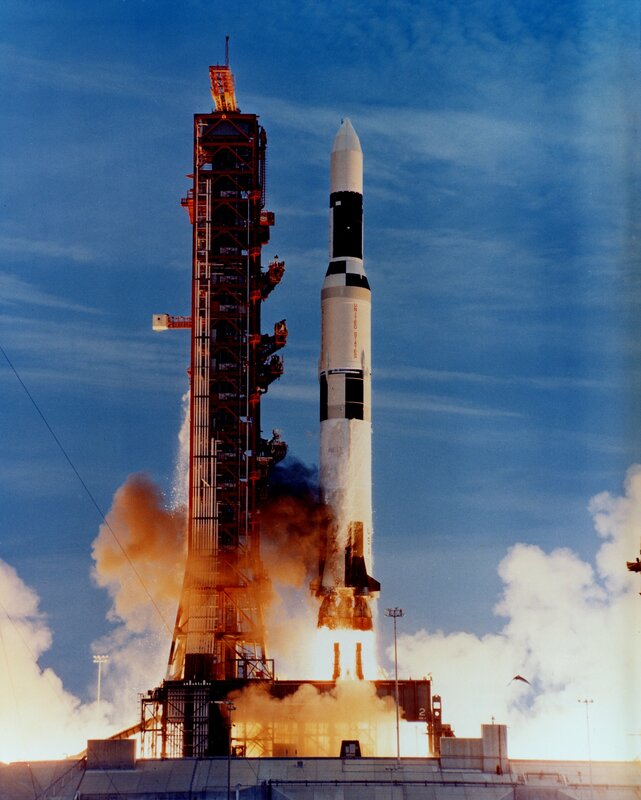 A small Saturn IB rocket carried Charles Conrad, Jr, Paul J. Weitz and Joseph P. Kerwin to rendezvous with Skylab. In space, the trio overcame all the odds and carried out a risky in-orbit repair on the crippled station, ultimately saving it and allowing two more Skylab missions to be carried out (SL-3 and SL-4) until February 1974. It was a story of space adventure and discovery to the highest degree; Skylab changed our understanding of the Sun and gave us an incredible opportunity to study the human physiology for long periods in space. Then I started to think about what we are capable of today. We can routinely send a team of seven astronauts, to a 19 year old space telescope, to carry out a servicing mission to prolong the observatory’s life for another five years. If I think about that too hard, I start to feel a little dizzy. From sending three heroic individuals on one of the first emergency in-orbit repairs to save a space station in 1973 to sending a sophisticated space shuttle (with a space workshop in its cargo bay) to carry out a carefully choreographed engineering task in microgravity, our technology has come a long way, but one thing has remained the same. The heroism of our men and women in space has not changed; space travel may seem to be routine, but being an astronaut is still a highly dangerous profession. So when I read Irene Klotz’s Discovery News article Need Satellite Repairs? Don’t Call NASA, I feel sad. Although the Space Shuttle has its faults and its endless supply of critics, it has enabled us to do unprecedented science and engineering tasks in space. When the shuttle is retired, NASA will no longer have the capability of capturing or docking with a satellite to carry out complex repairs and then send it on its way. Even when the Constellation Program launches, we wont have this facility. For me, that feels like one huge step backwards for our ability as a space-faring race; NASA will be prevented from carrying out complicated repairs in orbit. “That’s just a shame to abandon one of the most impressive, refined, sophisticated capabilities that this agency as a whole, human side and robotics side, has achieved. I’m not talking about re-servicing Hubble, I’m talking about the hard-won loss of capability — and costly capability.” —David Leckrone, Hubble senior scientist at NASA’s Goddard Space Flight Center in Greenbelt, Maryland. 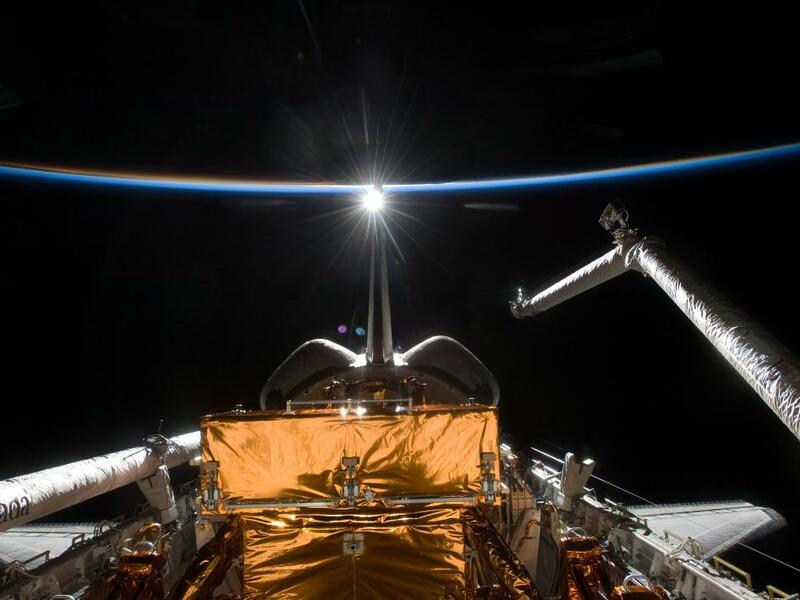 This wasn’t only the final Hubble servicing mission, it was also the final NASA satellite repair mission. That is a huge shame. I totally agree with you. Not having the capability to dock with our current and future satellites seems like a major step backwards in the space program. I hope they will develop a new system for carrying out new repairs. Its very costly to let something out there break and then launch a replacement compared to repairing it and extending its life. Well, the JWST will have an a ring that it can be grabbed, so it's not wholly out of the question that Orion could be used to repair satellites.But here's the problem. It is a shame, but something has to give. Everyone has their own pet capability that they want Orion to fulfill. Then, when the inevitable costs or construction delays occur because more capabilities are added, NASA gets criticized for waste and inefficiency. As for cost, I think cost wise you can get a new telescope for about the same price unless you're talking about the biggest scopes. Where I feel it really saves is time. We essentially got a new telescope many years before a space telescope could be designed, built and launched.It truly is a shame that we are losing this capability, but if its something that is so important, we can't turn around and bemoan the costs. i am not understand some points . any why it is very helpfull. Hey, we have one useful website we are going to share it please visit http://www.staffingpower.com there are many jobs available. Previous Previous post: Mars Rover Driver: Best Job Ever? Next Next post: Space or Pizza?